If you are looking to use precision guiding techniques on your farm, Real Time Kinematic Positioning from MyWayRTK is the most accurate signal available, able to keep your equipment within one inch of its intended path. RTK helps guide your combine or sprayer in the most accurate way through the field via cellular modem. It is designed to work with any equipment that uses industry-standard "GPS" protocols. This is especially beneficial to operators using multiple brands of equipment. You will need an RTK receiver and a cell modem with a data plan that is capable of connecting to MyWay RTK. Stay within one inch of intended path. Plant and apply inputs based on a specific prescription for maximum profitability. 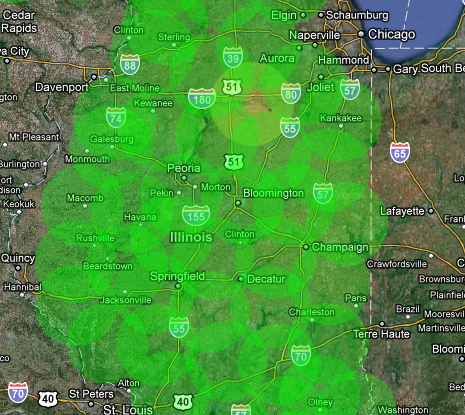 For more information and information on how to get a MyWay RTK subscription, visit www.MyWayRTK.com.